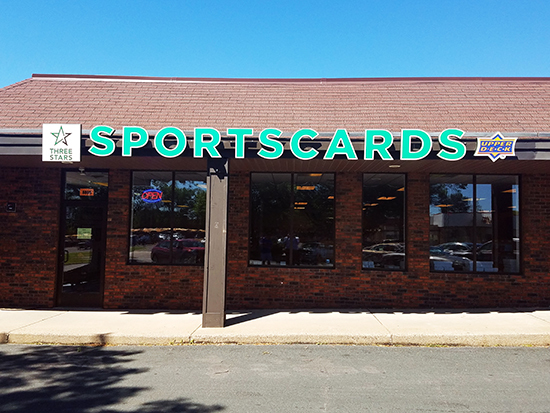 Upper Deck believes strongly that brick and mortar hobby shops are a group worth investing in. For years now Upper Deck has partnered with the company’s network of Authorized Distributors to help out shops the company works with. 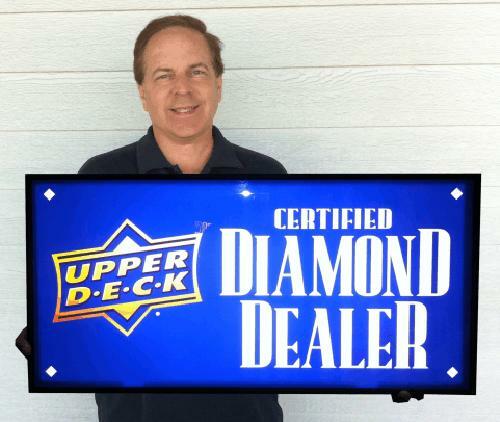 Both Upper Deck and the company’s distributor partners have taken profits and reinvested them into Certified Diamond Dealers in the form of a co-op advertising program that is completely customizable to the shop’s business. The shop must be a Certified Diamond Dealer with Upper Deck. 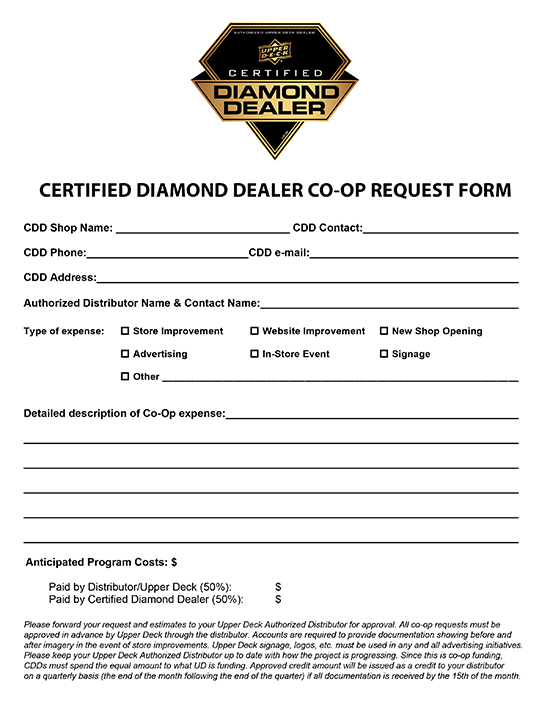 The shop comes up with an idea, runs it by their Authorized Distributor, refines it and then fills out an Upper Deck co-op request form provided by the distributor. The form is reviewed and approved by both the distributor and Upper Deck. If it is not approved, the distributor will give coaching on what can help the dealer get their proposal over the finish line. Prominent use of Upper Deck’s logos or card images are a key part of approvals. Upon approval the dealer can begin the work that was planned, keeping track of all receipts and costs. Upon completion the dealer submits those costs to their Authorized Distributor for a 50% credit of the work. Why does Upper Deck choose to run a program like this? Maybe because the company’s President (Jason Masherah) and Vice President of Sales (Mike Phillips) actually owned and operated card shops. Upper Deck’s leadership team knows first-hand the challenges these retailers face and are focused on helping these shops succeed. And shine bright at night! These signs were done through GTS Distribution. Recently Phillips hosted a panel at the company’s annual Certified Diamond Dealer Conference. 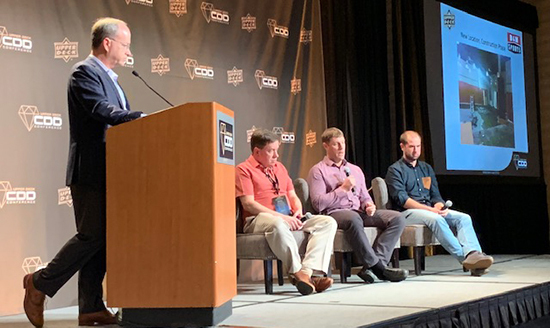 Three shops told the stories of work they had done on their shops to other dealers to help explain how the program works and inspire them to take advantage of it. For dealers to see the work that has been done through the Upper Deck co-op program just for these three shops in the last year was a jaw-dropping experience. 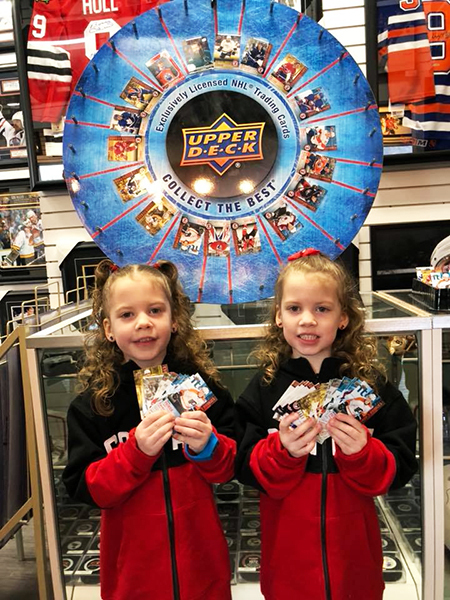 Upper Deck partnered with this dealer to make pop-up displays for them at shows to help them stand out from other dealers. Upper Deck produced branded spin wheels to help with in-store events. 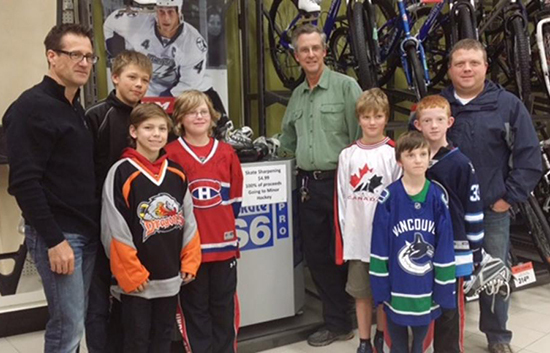 Universal offers youth hockey sponsorships with UD co-op funds that helps develop the next generation of collector and create awareness for shops. 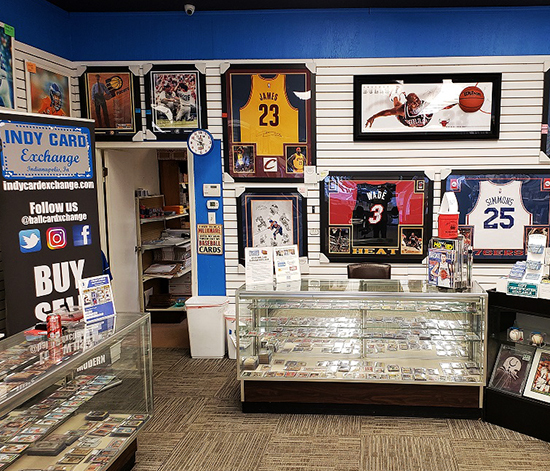 Southern Hobby Supply helped renovate Indy Card Exchange’s shop using co-op funds. Authorized Distributors like Magazine Exchange have used co-op funds for store signage. 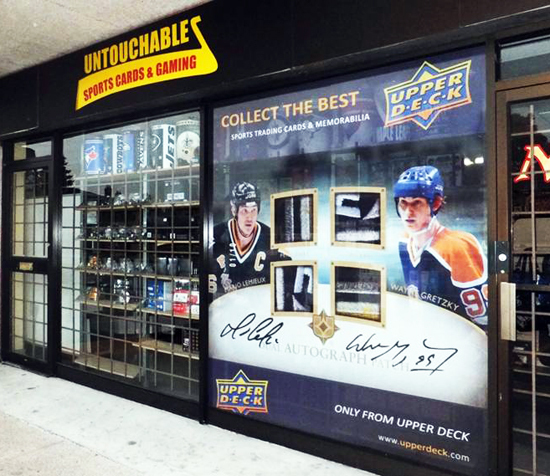 Working with Grosnor Distribution in Canada, Upper Deck provided co-op funds for a rink board initiative to help brand shops in hockey rinks throughout Canada. 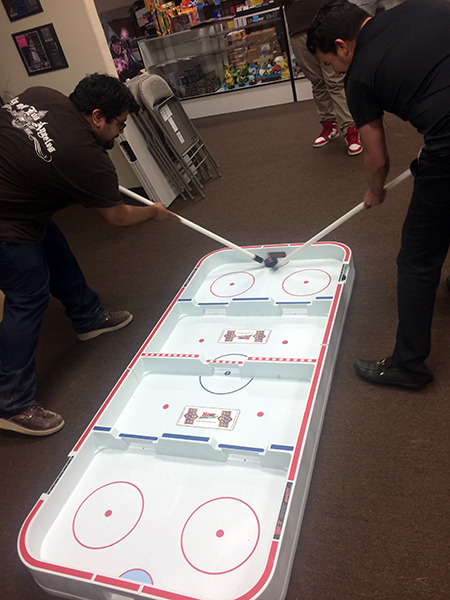 Upper Deck Box Hockey games were used at shops to help with fan engagement. Window graphics offered through Grosnor distribution help dealers stand out! 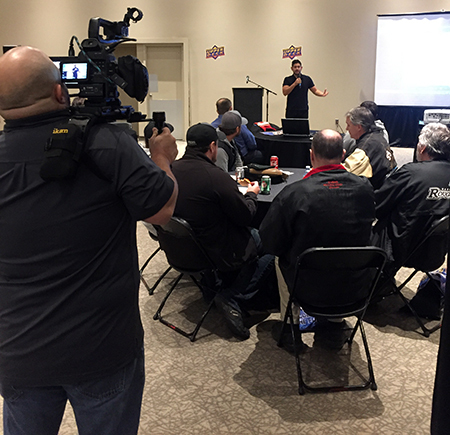 Dealer education events like this one offered through Universal help educate shops. 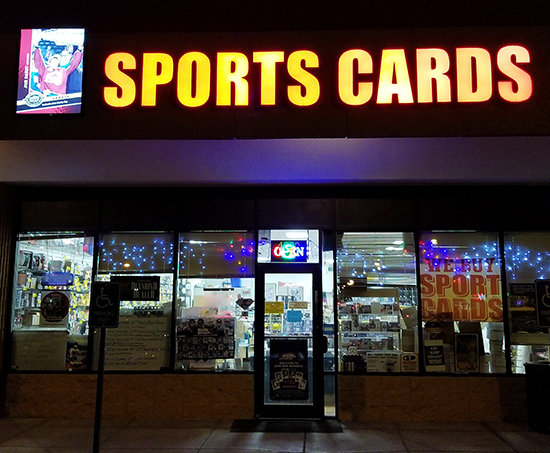 There is a popular hashtag that goes around on social media to support this network of brick-and-mortar retailers: #supportyourlcs which means, “Support Your Local Card Shop.” Clearly, nobody is standing up to do that more than Upper Deck. If you are a hobby shop looking to improve your business, ask your Upper Deck Authorized Distributor about this program today!